I am always on the lookout for new and exciting reading challenges. In the coming weeks I will be presenting some I have come across that I especially like. I haven't decided if I am going to participate in any of them in 2011, but I will be considering it. To read more about the challenge, just click on the image and you will be taken to the originating website. 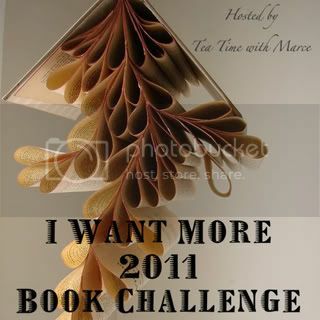 This one is very simple: You challenge yourself to read more books in 2011 than you did in 2010. 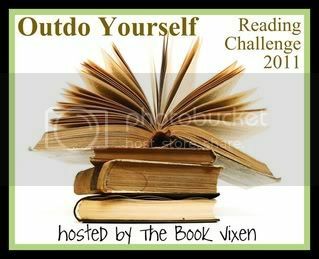 It is hosted by the Book Vixen, who is also hosting three other challenges in 2011, of which I might do one: Men in Uniform (she plans to read romances for that one, but there is noting in the rules that forbids other genres). I don't think I will be participating in this one. I read so much anyway that I don't need to push myself further, unless I decide to go for 200 books next year, which could easily happen considering the challenge I am setting myself for 2011 (more on that later). This one is to read more books by authors you have read a book by and thought "I must read more by this author", but never did. There are three levels and some rules. I don't know how many times I have ended a review by saying "I must read more by this author", but maybe it's time I finally did. Thank you for joining the Challenge, I look forward to your reviews. Don't forget to link up so I can enter you in the giveaways.